Thanks to its popular perception the British cinema of the fifties can often seem like a hinterland. The decade previous produced a number of wartime classics, the most critically regarded works of David Lean (Brief Encounter, Blithe Spirit and the Dickens adaptations) and a wonderful string of masterpieces by Michael Powell and Emeric Pressburger. 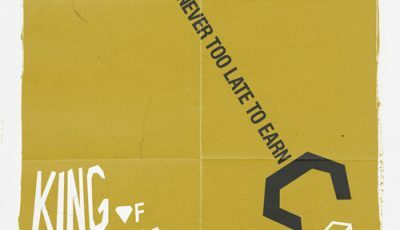 The decade following saw the British New Wave hit its stride with Saturday Night and Sunday Morning, A Taste of Honey and The Loneliness of the Long Distance Runner. It also gave us James Bond, the much-loved Beatles movies and a series of films infected with either the ‘Swinging’ attitude or a certain revolutionary flavour: Blowup, If…., Performance (completed in 1968, unreleased until 1970), and so on. 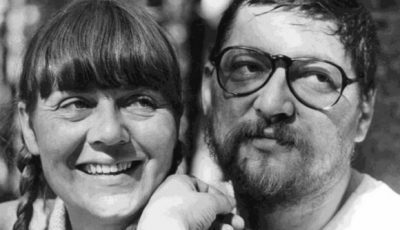 By comparison, fifties British cinema is commonly seen as the decade that brought us Genevieve and introduced both the Carry On series and the Doctor in the House franchise – considerably less hip or fondly remembered than the other named examples. Yet whilst this may be the popular perception, it isn’t the truth of the matter. Every decade has its fair share of standouts and stinkers, and the fifties is no different. What follows is a chronological selection of ten films that hopefully counter this idea of safe, cosy or outmoded cinema. As anyone who read my British Cinema’s Back Alleys and Byways contribution to Top 10 Films from last year will expect, this isn’t a conventional list. It doesn’t opt for the ten most popular titles from the decade nor the ten most representative. Rather it’s a selection of firm personal favourites, although the combined story they provide of British cinema at the time is just as valid as any commonly held ideas. The perfect opener to break down those perceptions. 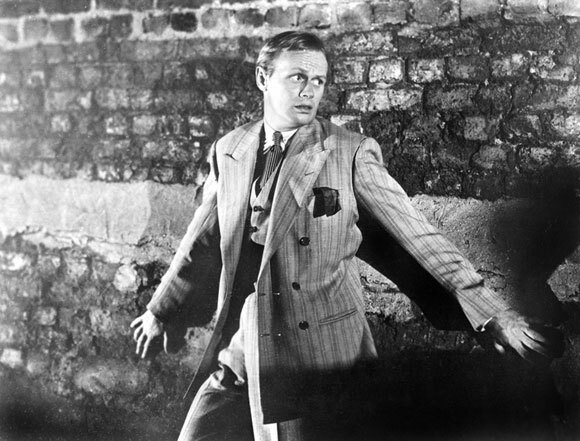 American film noir translated to the capital with everyone’s favourite giggling psycho Richard Widmark along for the ride, here playing a two-bit lowlife with fate hanging perilously above his head. The London of Night and the City is a black and white netherworld of Greek wrestlers and racketeers, where it’s permanently after dark and everyone is double-crossing everyone else. The film may have an American director in Jules Dassin, an American screenwriter (Joseph Eisinger, a former newspaperman) and an American lead, but its grittier take on the underside of life nonetheless rings true as a piece of British cinema. This isn’t the London for the tourists, and it’s all the better as a result. The fifties gave us plenty of war films, many of which should be familiar as a result of countless TV screenings: The Wooden Horse, The Colditz Story, The Dambusters, Ice Cold in Alex, Reach for the Sky. The Bridge on the River Kwai is the big hit amongst them: multi-Oscar winner, instigator of the epic war flick with an international cast (see also The Guns of Navarone, The Longest Day, A Bridge Too Far, and so on), and the film that reinvented David Lean as the director of ‘big’ pictures – a far cry from the small-scale dramas of Brief Encounter and Hobson’s Choice. Yet nestled amongst the favourites and the familiars is the wonderfully understated The Cruel Sea adapted from Nicholas Monsarrat’s best-selling novel. 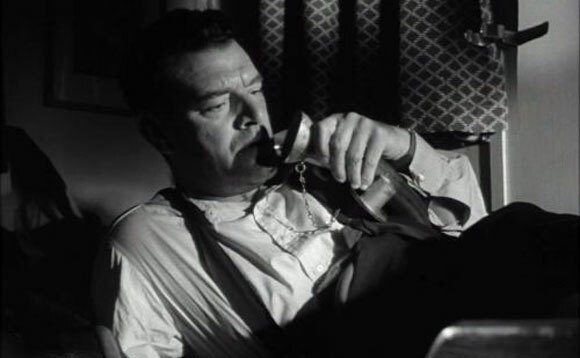 Jack Hawkins’ stoic central performance sets the tone, making this an excellent throwback to those unfussy, unsentimental war films of the forties – such as Fires Were Started and Western Approaches – that utilised really fighting men in front of the camera. This film and The Cruel Sea are the only Ealing Studios productions in this top ten, a somewhat perverse decision perhaps given that the fifties also produced the majority of their best-loved comedies. Yet rather than opt for The Man in the White Suit, say, or The Ladykillers I thought it best to highlight another by their director. 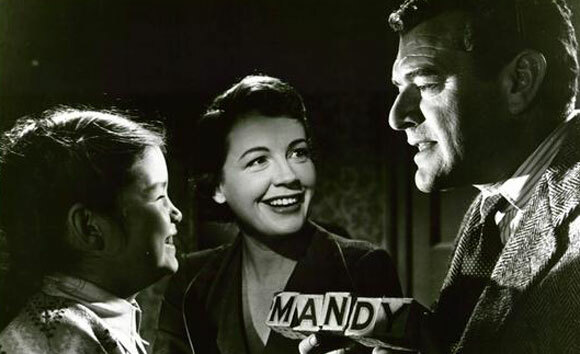 Mandy was something of a departure for Alexander Mackendrick; there isn’t even the tiniest hint of comedy as he tells the story of a young girl who is both deaf and dumb. But the story isn’t entirely hers, it’s also that of her parents and their conflicting attitudes to the discovery of their daughter’s disabilities. What unfolds is often undoubtedly affecting, though never mawkish or sentimentalised. This is a tough picture and a mature one – it’s also one of the finest features British cinema ever produced, regardless of decade. Portrait of Ga is only four and a half minutes long, but those four and a half minutes are just wonderful. This is a low-budget Scottish documentary made by Margaret Tait, shot in colour and focussing its attentions, as the title suggests, on ‘Ga’. 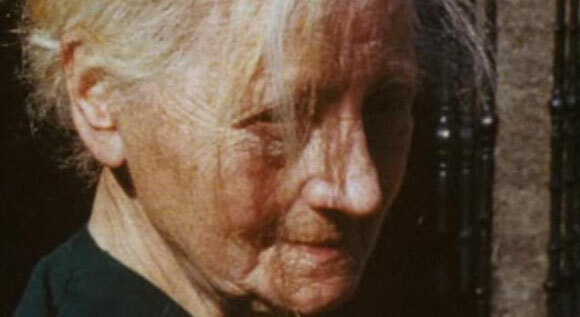 She’s Tait’s mother, ‘Ga’ being an affectionate nickname, and she’s captured holidaying in the Orkneys. The soundtrack consists of a simple clarinet melody, natural sounds and Tait’s occasional voice-over; the visuals are a beautifully candid record of her mother as she walks, smokes or slowly unwraps a sticky sweet wrapper. There’s no fuss, no pretence, just a perfectly natural series of moments. You could describe this as a home movie perhaps, but that would deny the film its captivating poetry. At sixty years old it stills feels as fresh and as modern today. Another documentary short, this one from the greatest British filmmaker to have remained ‘undiscovered’ until the 21st century, John Krish. This film actually lost him his job at the British Transport Films Unit and yet is now amongst their best-loved works. 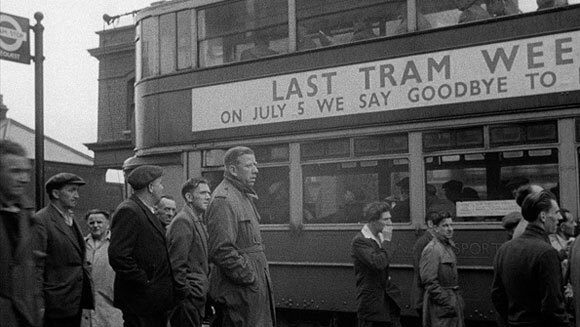 Initially it was meant to be a simple record of the London tram system’s final day in operation, footage for the archive and nothing more. Sensing the history of the event Krish disobeyed and illicitly put together an absolute gem. 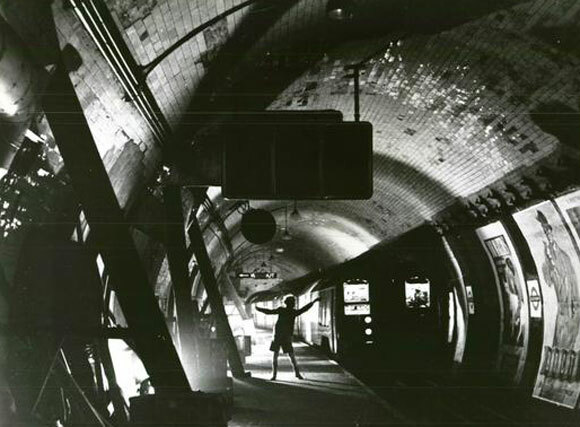 The British Transport Films were about extolling the present and looking forward to the future, oftentimes beautifully constructed but ultimately conceived as shameless promotion. Yet The Elephant Will Never Forget looks back, positively dripping in nostalgia as it places ‘Riding on Top of the Car’ on the soundtrack and makes a tram ride look like the most wonderful thing ever. Judging by the reaction the film always prompts – it’s a real lump-in-the-throat experience – perhaps it was. Back to features and one that’s largely forgotten today. This was the UK’s second X-rated feature following the previous year’s Cosh Boy, an early sensationalist look at juvenile delinquency. The Yellow Balloon, co-scripted and directed by J. Lee Thompson prior to making the original Cape Fear, was shot in the East End, one that still bore the scars of wartime bombing. Within this bleak landscape exists a bleak tale of two young boys, one of whom falls to his death whilst the pair are chasing the titular balloon. Not the brightest of starts and one that triggers a series of unfortunate events for our twelve-year-old lead. The familiar faces of Kenneth More, Sid James and Bernard Lee occupy the background, but this is young Andrew Ray’s movie. Carol Reed’s Technicolor account of working class Londoners tends to get a little lost amongst his more famous works – it came five years after The Third Man and twelve before Oliver! – but I’m inclined to declare this my favourite. Where else could you find Celia Johnson and Barbara Windsor rubbing shoulders alongside Alfie Bass, Spike Milligan, Diana Dors, Irene Handl, Vera Day and, of course, Sid James? (James, incidentally, appeared in three of the films on this list and in the sequel to the next selection.) This mixture of star power, character actors and comic turns is key as A Kid for Two Farthings is primarily about atmosphere, and a very particular one at that. 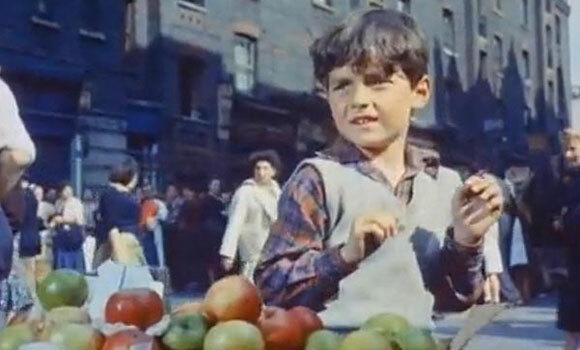 Petticoat Lane served as the location for the exteriors, with Shepperton providing able back-up when required. Admittedly the portrait of Jewish life is sentimentalised and the various strands to its narrative – the main one involving a young boy wanting a wish-granting unicorn – are slight, but that atmosphere wins through so that it’s impossible not to be taken in. Hammer Productions Ltd had existed since 1934, but ‘Hammer Horror’ didn’t come into being until the fifties. The Curse of Frankenstein is seen as the starting point, and was quickly followed by The Horror of Dracula and The Mummy, yet their earlier Nigel Kneale adaptations (based on his television plays) are important stepping stones towards that landmark. The Quatermass Xperiment was the first, its very title acknowledging its adult content, in this case a tale of an astronaut who is both the sole survivor of a rocket crash and the victim of an alien infestation. Brian Donlevy’s Professor Quatermass and Jack Warner’s Inspector Lomax are in pursuit as he slowly mutates leading to a quite literally electric finale in Westminster Abbey. Quatermass II followed two years later with Quatermass and the Pit emerging in big-screen form in 1967. Kneale’s The Creature was also adapted by Hammer into The Abominable Snowman in 1957. All are worth a look and provide genre thrills that easily compete with the numerous science fiction efforts the US was turning out at the same time. Another appearance from Sid James, here occupying the screen with a whole host of tough guys: Stanley Baker, Patrick McGoohan, Sean Connery, Herbert Lom, even a pre-Doctor Who William Hartnell as their corrupt boss. They work for a haulage firm and earn their bonuses by making high speed runs along poorly maintained country roads and perilous quarries. 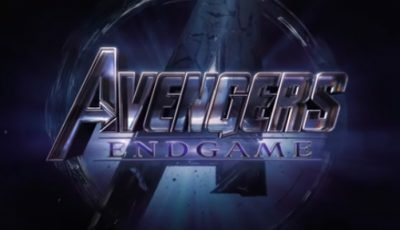 The sheer amount of testosterone should make it clear that this is very much a macho film, bursting with tension and barely contained violence. 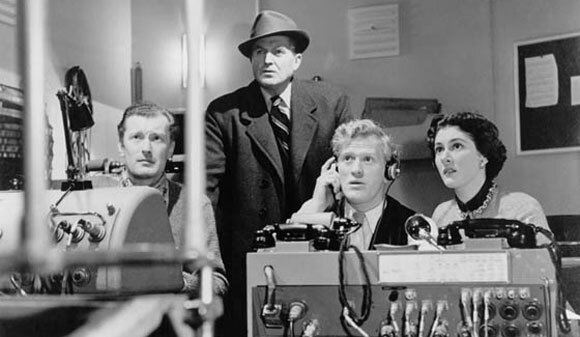 Pennsylvania-born director Cy Endfield had fallen foul of the McCarthy hearings earlier in the decade, relocating to Britain where he found work in television and B-pictures. Hell Drivers is arguably his best British feature, though some will no doubt favour Zulu which he directed in 1964. It retains the hard-edged nature of his 1950 US noir The Sound of Fury, an aspect heightened by the casting of Gun Crazy’s Peggy Cummins as the firm’s femme fatale secretary. A bit of a cheat as this is actually a quartet of films. But they were screened as a single programme and make for a fitting close to the decade in terms of signalling what was come. The Free Cinema programmes had screened at the National Film Theatre since the February of 1956. 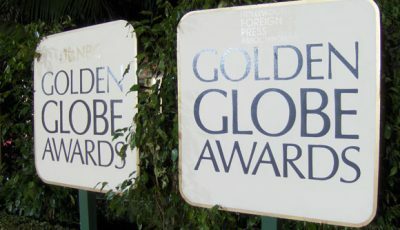 The first, third and sixth were devoted to British cinema, primarily documentaries, with the other three focussing their attentions on equivalent pictures from around the globe. They were tied by the Free Cinema manifesto, one that centred on a “belief in freedom, the importance of people and in the significance of the everyday”. 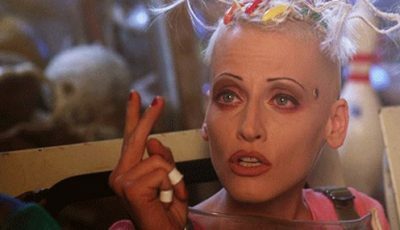 In other words they were a reaction to the perceived conservatism of earlier British filmmaking and placed an especial emphasis on both reality and the under-represented. Thus we had films about the working classes, about outsiders and immigrants, about the increasingly visible figure of the teenager. The selections which made up Free Cinema 6 did just that, each excellent in its own right: We Are the Lambeth Boys trains its cameras on the South London teens entertaining themselves at a youth club; Refuge England spends half an hour in the company of a Hungarian man during his first day in the capital; Enginemen records its titular figures at work and on break without recourse to voice-over. 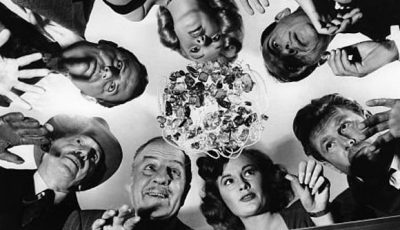 Food for a Blush is the odd one out, an endearingly eccentric piece of nonsense with a self-deprecating attitude that looks forward to Richard Lester’s The Knack… and How to Get It and his Beatles flicks. Indeed, all four of the Free Cinema 6 provide a pointer to various sixties styles: the British New Wave films of Lindsay Anderson, Karel Reisz and Tony Richardson, their attitudes and docu-drama nature; or the television documentaries exemplified by Granada’s exceptional output (especially their World in Action series). These later works may have earned the greater acclaim and column inches, but it all started here. Written and compiled by Anthony Nield. Anthony has been writing about film for the best part of a decade. His particular obsessions are summed up nicely by this particular list: British cinema, experimental cinema, non-fiction, films that have fallen by the wayside. For further thoughts on these and more see his regular contributions to The Digital Fix (née DVD Times). ALSO SEE: Anthony delves deeper into his fascination with British cinema’s more obscure films with his article British Cinema’s Back Alleys and Byways. Read about Ginger Nut’s Christmas Circus (1949), a further look at the work of John Krish with his film Captured (1959), Keith Chegwin in public service film Betcher (1971) about bicycle awareness for children, the experimental work of Stephen Dwoskin, and the true awfulness of Bernard Manning in Doug Smith’s The Great British Striptease (1980). Anthony has been writing about film for the best part of a decade. During that time he has contributed prolifically for the Digital Fix – since the days it went by the name of DVD Times – but look around the web or in the occasional magazine, and you’ll find examples of his writing there too. His particular interest is in films that have fallen by the wayside with a particular emphasis on British cinema, the avant-garde and non-fiction. I was expecting the Ladykillers, which happens to be my favourite film, but in many respects I’m glad it doesn’t appear. I love British films from the period and yet I haven’t seen many of these. 4 out of 10 is my disappointing score. But thankfully now I have some hopefully wonderful pieces of work to discover. Great piece Anthony. Portrait of Ga is a film I haven’t even heard of. Might have to check that out. Great article Anthony, some very worthy films that should be seen by anyone with even a passing interest in British film or the 1950s. This is a great list as I am trying to look back at British Cinema at the moment and had become a bit stuck. @Martin: Portrait of Ga is available to view in full online for those wanting to see it. @Scott: My 1940s list was a bit more “accessible” for those wanting to find out more about war-era British cinema but since the 1950s was a pretty baron ten years when compared to the decades around it Ant’s list is definitely an eye-opener. I’ve only heard of Night and the City. I assume you haven’t seen Room at the Top because if you did, it would most definitely be on here. @Anna: Room at the Top…one of the films I have actually seen that wasn’t produced by Ealing. 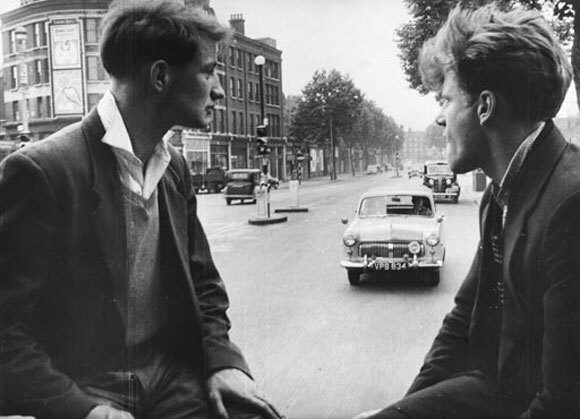 Why I associate it more with the sixties I’m not sure…perhaps because it heralded the age of The Loneliness of the Long Distance Runner and all those British New Wave films of the “swinging” sixties. @anna I have indeed seen ROOM AT THE TOP. I find that the final FREE CINEMA programme is a more interesting means of encompassing those early flourishes of the British New Wave (see also LOOK BACK IN ANGER from 1959). For me ROOM AT THE TOP was surpassed by some of the films that followed: SATURDAY NIGHT AND SUNDAY MORNING, LONELINESS OF A LONG DISTANCE RUNNER, A KIND OF LOVING. Plus director Jack Clayton went onto better things in the sixties too: THE INNOCENTS, THE PUMPKIN EATER, the under-seen and under-valued OUR MOTHER’S HOUSE. Very insightful post, Anthony. I’ve only seen one Richard Widmark film, Yellow Sky and he’s quite sinister in that one. 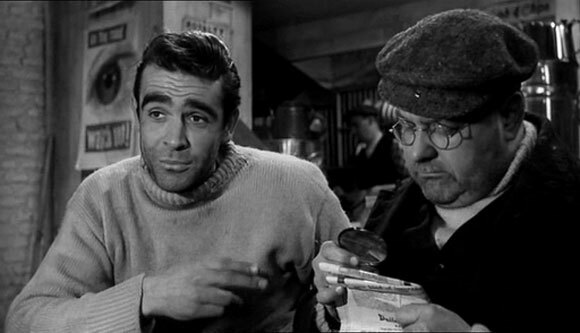 Now I’ve never even heard of Hell Drivers but w/ young Connery in it, I should rent that soon. If ever a website deserved to be nominated for a Lazzie (or anything else for that matter), it’s for e-publishing a list like this. This is as good as anything I’ve seen in Film Comment or stuff that has been spat out by the BFI. Admittedly I’m a little over-awed … I haven’t seen any of these pics (not even cult favourite the Quartermass Experiment), but my God I’m going to make an effort to see them now.